Finally, Apple introduces latest version of its iOS 9.3 with many new useful, interesting like screen temperature changer based on time of the day password locks for notes and many more. Night shift, is the biggest player of the update. Some researches show that exposure to bright blue light in the evening can affect your sleeping hours, with this app you can automatically schedule Night Shift to turn on in the evenings. 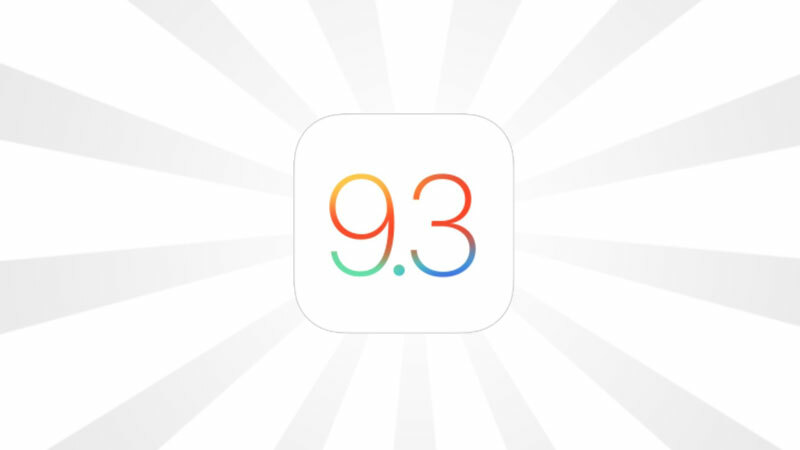 This is the main updation in latest version of iOS 9.3. Night Shift uses your iOS device’s clock and geolocation to determine when it’s sunset in your location, then it automatically shifts the colours in your display to the warmer end of the spectrum. In the morning, it returns the display to its regular settings. Notes is one of those apps you use all the time for all kinds of things. Now you can secure the notes that contain your most personal data — such as financial details, medical info or website logins — with a password or fingerprint. You can also sort notes by date created, date modified or alphabetically. It’s simpler than ever to find third-party apps to track your health and wellness. Categories such as Weight, Workouts and Sleep have a new slider menu that reveals great apps you can easily add to your Health dashboard.2The Health app also now displays your move, exercise and stand data, as well as your goals, from Apple Watch. So you can see all your health metrics in one place and easily share your data with third‑party apps. With iOS 9.3, CarPlay adds even more useful features. New and For You from Apple Music — with songs, artists and albums handpicked by Apple Music editors and expert curators, plus selections based on your preferences — are right at hand on your screen. So whether you’re on your daily commute or an epic road trip, you’ll always have something fresh to listen to.